After much anticipation, CCP Rise announced finalized plans for Skill Injectors/Extractors. I was going to write about specific tweaks I'd like to see ahead of the release in February (2nd bracket is too generous, 30M max), but instead I want to try to dispel the idea of 1 Extractor should/will cost 1 PLEX. Let me skip the fluffy story and cut straight to the meat about PLEX. For extended pontification about PLEX, tune into the Prosper show live. As I mentioned in my Forecasting Experimentation Blog, PLEX trends positive over time. There are a lot of factors driving this behavior, but the general tendency to be so securely positive is troubling. What goes up should come down. 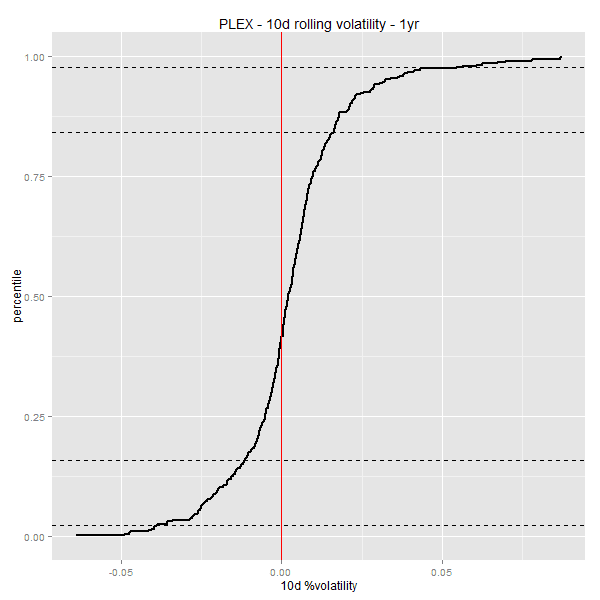 Though I don't expect a slide back to <1B PLEX, I do expect that SP trade to act as relief valve for PLEX runs, capping the wildest swings. The line of thought I expect is "why buy a PLEX and wait 30d to do what I want, when I could instead buy the SP directly and do what I want today?" Especially with such a top-heavy game, I expect SP supply to be substantial if the extractor price is right. 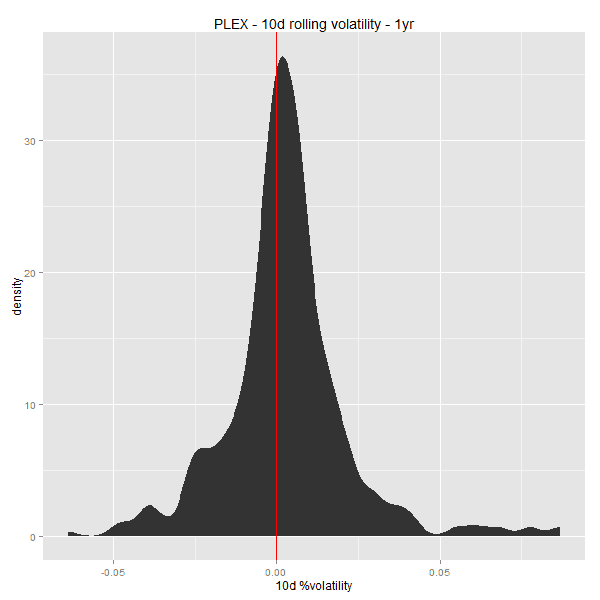 A PLEX/MCT yeilds ~1M SP over its period. With extractors/injectors running in 500k SP blocks, expecting a AUR price over 0.5 PLEX seems ridiculous. Any higher and buyers will just wait out the 30d, and the gerontocracy remains in tact. Sellers might want to participate, but buyers aren't going to want to pay something like 1.5 PLEX equivalency as a base price. North of 0.5 PLEX makes Injectors a much worse deal than just going to the character bazaar, where a 5M SP toon would cost something like 4+2 PLEX. 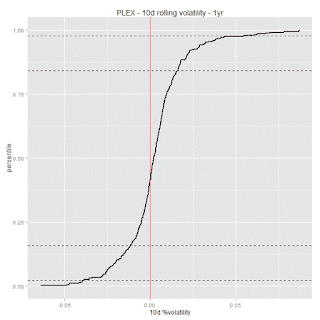 To get both sides to the market, we need to talk about a 0.25 PLEX price ceiling on extractors in AUR. This will drive "farmer" clones who are just extracting SP, but this is exactly what I want to see. If an Injector is a better deal than the 30d of equivalent account time, it will drive target-buyers to consider waiting vs leaping ahead. Also, at that generous 0.25-0.20 PLEX price, I think it is a serious temptation from the supply side to subsidize accounts that may not need more SP. Where the supplier could be looking at a 40-60% ISK savings on monthly fees for account-only toons, it would be tempting to keep accounts active that may have otherwise been shuttered. 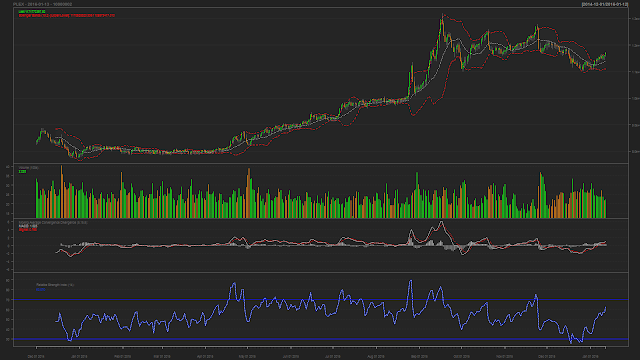 Other pundits might expect large runs on PLEX, but I expect only enough movement to push us to 1.2B, but not break the RSI cap. This basically wipes out weakness from over the holidays. I still expect a lot of Incarna AUR to be out there to be cashed in, and this will temper how much PLEX->AUR will be converted. Also, savvy suppliers may be going straight to $->AUR, skipping PLEX entirely. I expect demand to be very hot for these. This would be a great chance to liquidate Incarna AUR out of the wallet. Though things might be wild in the opening hours, I expect to reach AUR<->PLEX equivalency quickly. There may be a chance to get a deal on quick buy orders, but this will be a seller's market pretty heavily. I wholly expect injectors to be a buyer's market. For a target, I'd be aiming for something like half the PLEX equivalent. Specifically as (Extractor + 1/2 PLEX)/2. That may be an ambitious buy-target, but I think if the price hits in that 1-4$ price point, that there will be a huge surge of suppliers rushing to market for a quick cashout. This may also rebound into the price of PLEX, but I still think people should be holding PLEX for Citadel rather than turning around the quick gains in the shorter term. There is a vocal segment of the playerbase who considers this pay2win, but I would like to lobby against that position. EVE has never been strictly an egalitarian space-bushido paradise; ISK has always been a deciding factor in conflicts of all sizes. Though skill trading adds a new vector to that equation, I don't think it marks an irreversible deathspiral. Cash/ISK will always be a deciding factor, regardless of skill trading. Pimp fits and hot drops aren't considered pay2win today, why would SP trade suddenly change that idea? Remember that skill injection is going to be a net-drain on total SP in the cluster. Though the 5M bracket gets 100% efficiency, all other brackets destroy SP in some measure. Also, I expect SP trade to mirror the PLEX trade, and some decent percentage will get locked away in RMT bans. This pruning of SP from the top should move the median down, giving our youngest recruits a better initial feeling of fairness, and a lowering of the pain for that first 10M SP that are so critical to long term operation in EVE. I'm excited to trade in brainmeat, and will be adding it to the Prosper analysis as soon as its released. The more I consider this the more I think I was a bit off on my estimates. I was thinking a 500K skill injection would be worth about 400m isk + extractor cost based purely on PLEX prices, but I'm pretty much disregarding the convenience factor of instant training, what will be invariably a high demand item and, perhaps most importantly, a limited supply. I'm sure we've all trained things we regret but despite that I'm not terribly interested in discarding those skills for ISK. As much as I almost never use Capital Ships, I'll be pretty pissed with myself if the time comes and I need a carrier or dread, only to realise I can't use them anymore. If others think like I do, and admittedly that's a stretch, there may not be the abundance of these on the market that many are hoping for. One PLEX yields 30 days of training. That's 2,700 SP per hour, or 1,944,000 per month if you're doing it right. Just sayin'. The napkin-math was based on a mismapped newbie without implants (closer to 1.2M). Though farmers could get ~2M/mo, I expect buyers to estimate closer to 1.5M/mo in their valuation. I think you might be vastly underestimating the demand for the injectors. Think of how popular the cerebral accelerators were. Granted the injectors won't be as popular in the higher SP brackets, but that still leaves a lot of players in the lower brackets, players that are still full of energy and drive and chomping at the bit to unlock new and exciting ships to fly. These are the players that are going to hoover up injectors like Charlie Sheen at a Columbian drug lords pool party. Yes, but for each player that wants to hoover up an injector, there has to be another player that will siphon that SP out of a toon. I do think that market will be supply-constrained, and I'd think the price would be more than a PLEX. e.g. imagine a PLEX that slowly gives you SP over a month, vs a PLEXv2 that gives you that SP immediately. How much more would the latter cost? These injectors are going to have a huge effect on the price of characters in the character bazaar. As an example, a 100m sp toon would be worth about 350 injectors as brainmeat. That translates to about 230 plex or 280b isk. A 50m sp toon, which seems to be the average on the bazaar, will be worth 123 injectors, 82 plex, or 98b isk as brainmeat. In fact, if these things are priced in the neighborhood of 2/3 of a plex each, and I had a toon with a skill set that I was comfortable with, I could simply convert my SP into isk for a passive income of 800m isk/mo. I forgot something...if the injectors are worth 2/3 of a plex empty, a player is going to charge much more to fill them. I suspect that I might be able to pay for access to the game by simply training Caldari BS 5 forever. Also, I suspect we'll see a bunch of 85-90m sp toons running around, selling off their sp to plex their accounts while staying in a SP range that will allow them to adapt to new fleet doctrines fairly quickly and inexpensively. Skill Trading is trading character experience from one character to another, a particular bonus for any secondary (or “alt”) characters if a player’s main character has a surplus of skillpoints in areas he or she might not currently use.